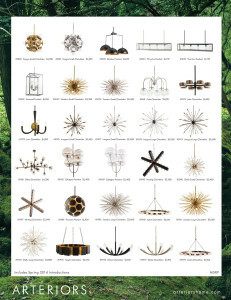 ARTERIORS : Damp Rated Chandeliers! 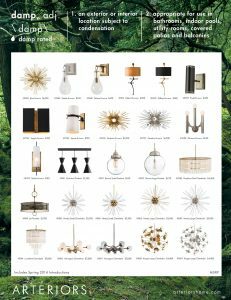 Check out a few of the chandeliers available from ARTERIORS that are appropriate for use in bathrooms, indoor pools, utility rooms, covered patios and balconies. Info sheet below has all the damp rated options. If you need a better view we can email you the fliers.